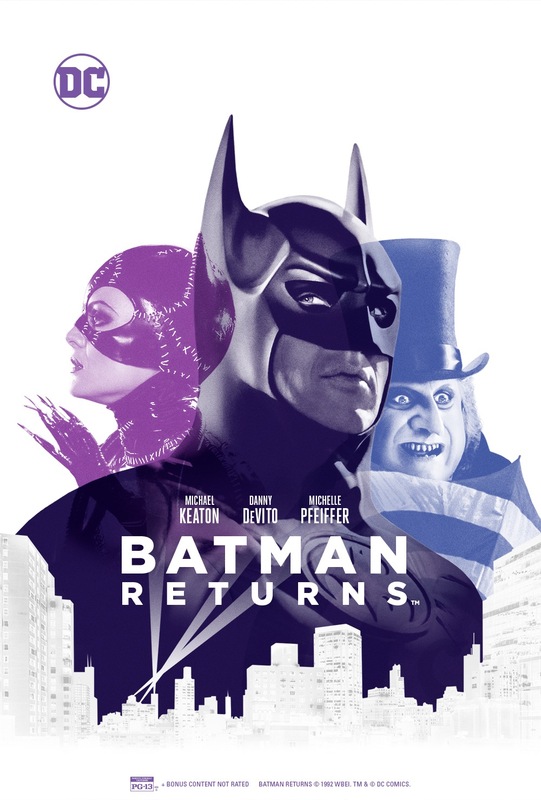 An 80th Anniversary celebration of Batman ushers in Michael Keaton returning as the legendary hero who battles against the mysterious Catwoman (Michelle Pfeiffer) and the diabolical Penguin )Danny DeVito) - who has a plan to destroy Gotham City and the Batman. 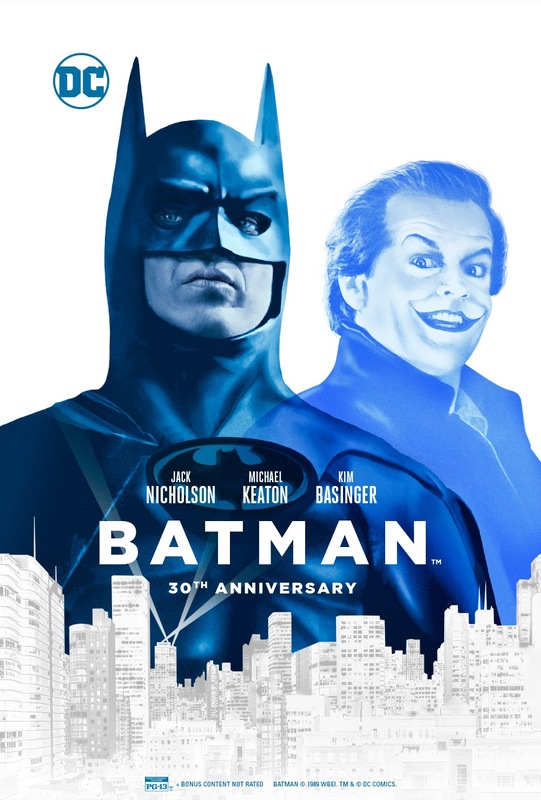 The Batman 80th Anniversary celebration brings the next installment in the Batman films, Val Kilmer is the Dark Knight, Chris O'Donnell is his trusted new partner Robin. 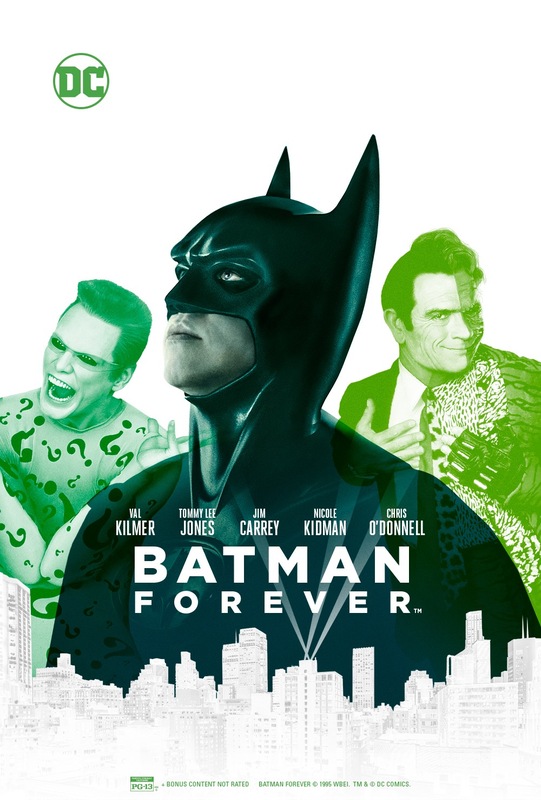 Together they face off against legendary super-villains, the Riddler (Jim Carrey) and Two-Face (Tommy Lee Jones). 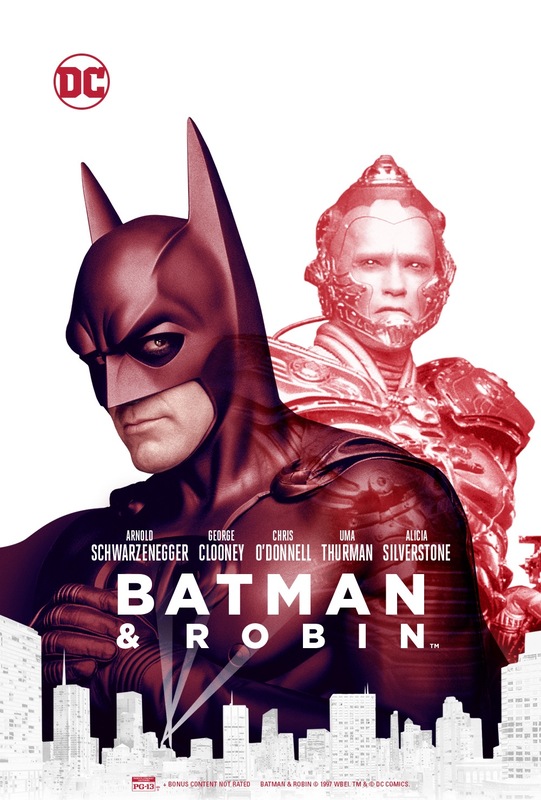 Celebrate 80 years of Batman when Batman and Robin comes to the big screen! 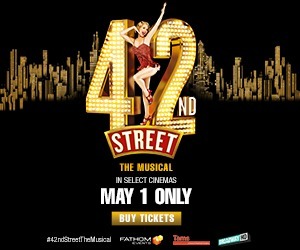 George Clooney stars as the mysterious Caped Crusader in this fourth installment of the blockbuster Batman saga. This time he's up against the cold-blooded Mr. Freeze.